Losing your wallet is like losing a part of you. Everything is in there — your driver's licence, your credit cards, your membership IDs and your photos of loved ones. This clever trick can help you avoid losing your wallet forever the next time you venture out into the outdoors. "...I saw somebody post on the page that they lost their wallet "Filled with coins" in a remote region while working their beekeeping job. It took this guy with a detector 30 mins to find the wallet in a search area of about [100m]. These specialised detectors are designed to find gold nuggets deep underground, finding a wallet on the surface or just under the surface of tall grass is incredibly easy." So, stick three to five coins in your wallet before you head out into the wilderness, go hit the beach, or get started on that epic hike. 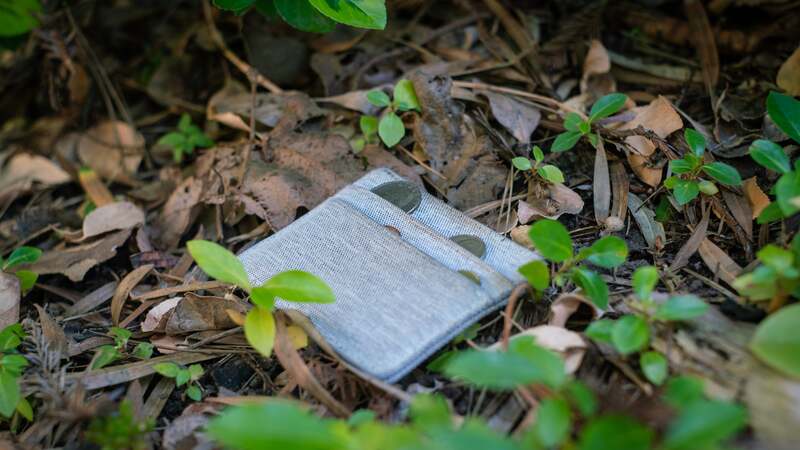 If you lose your wallet, it will be a lot easier to find with some metal in there. Even if a metal detector group can't help, you might be able to rent one and go looking yourself. It only takes you a couple seconds to put some coins in your wallet, but it could save you some serious grief down the road.